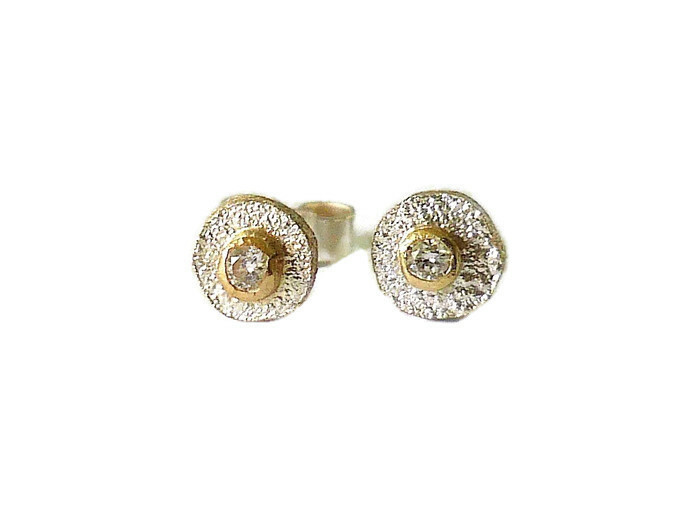 Silver and 9ct yellow gold studs set with 3pt diamonds, approx. 5mm diameter. Available with other stones on request.